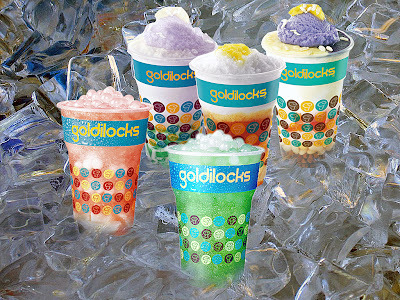 What is the difference of Maja Blanca and Tibok-Tibok? This was a puzzle to me after attending the Flavors of Filipino Passion presented by The Meranti at Two Serendra yesterday in celebration of Philippine Independence Day today. Chef Jackie Laudico and Chef Sau Del Rosario taught us how to make the classic Maja Blanca and Tibok-Tibok both Filipino indigenous delicacies popular in certain regions of the country. The first part of the event was a tour of Two Serendra gazing at the beautiful and relaxing landscapes with luxurious amenities The Meranti at Two Serendra offers. Alveo Land's Two Serendra dedicates 65% of its land as open greenery with highly-thematic masterplan to complement diverse lifestyle choices. It has a Living Museum composed of a variety of lifestyle amenities and facilities residents can enjoy. The Tropical Garden will be one distinct amenity consisting The Living Museum with glass-enclosed multifunctional hall that can host as many as 300 people. 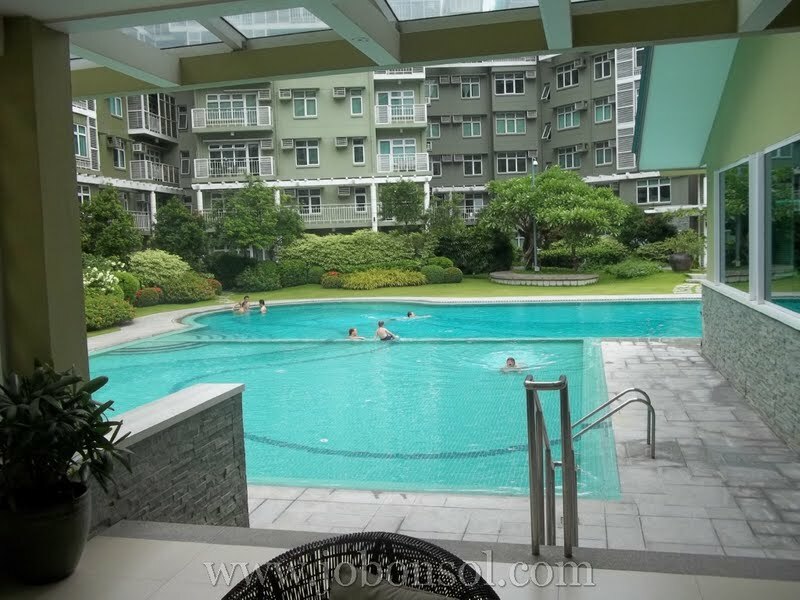 They also have a Fitness Club, a fully-equipped fitness station with complete gym amenities and panoramic views of the Two Serendra gardens. The Enterprise Lounge, the Discovery Hall and Stellar Peak will also have top-rate facilities for leisure, entertainment and business gatherings. 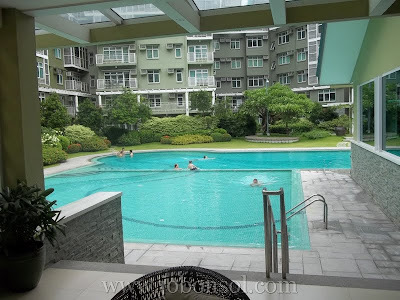 I was in awe gazing at the landscape with existing residents enjoying the amenities. 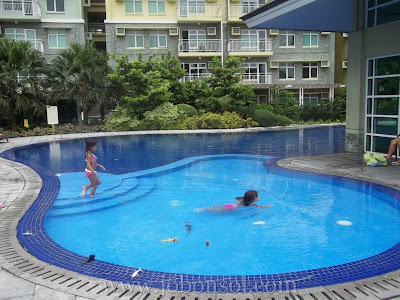 The freedom to swim at a large pool and enjoy the beautiful surroundings enjoyed by Two Serendra residents was shared by hosting a unique event. Two Serendra hosted its fourth Brunch series dubbed as "Flavors of Filipino Passion". 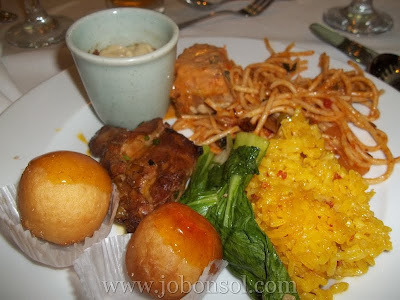 We were treated with a sumptious buffet brunch of Tuna Kilawin Spoon, Pork Sisig in Crispy Rice Basket, Crispy Pancit Molo,Spaghetti Tuyonesca, Grilled Tuna with Crab Roe Sauce, Chicken Inasal with Dalandan Glaze, Paella Rice, Garlic Petchay, Sweet Potato Puree, Tsokolate Ohh, Bicho Bicho Yema Balls, 3 Kinds of Mango Salad, Shitake Adobo Puree Soup and Fresh Fruits by Chef Laudico, a lover of Filipino dishes inspired with the Philippine Independence Day Celebration. 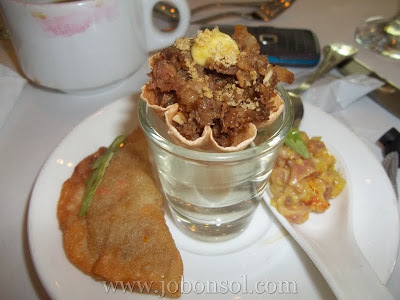 I really enjoyed the Tuna Kilawin Spoon having the right amount of sweet, sour and saltiness with fresh tuna bits. 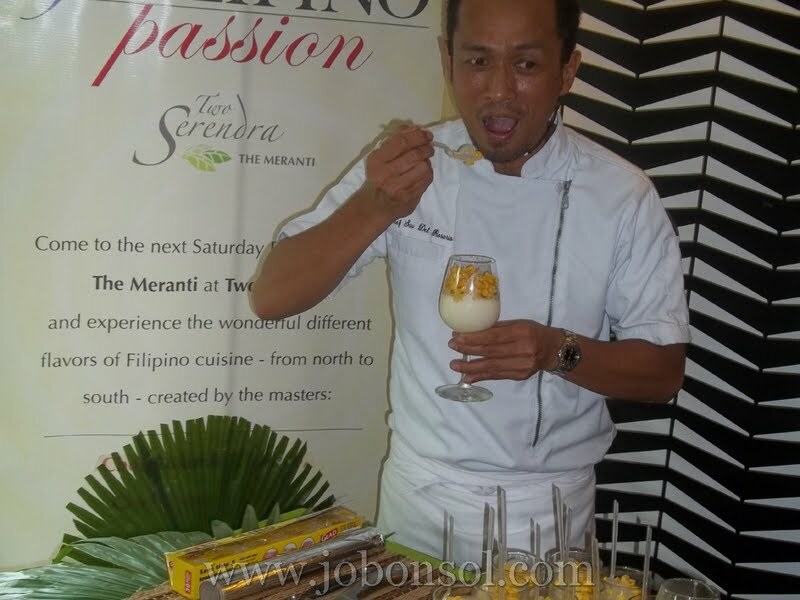 Chef Jackie Laudico introduced The Culinary Studio, a convenient facility offered at The Meranti at Two Serendra with a live cooking demo of Maja Blanca. I've learned how the carabao's milk was more flavorful as an ingredient to Maja Blanca compared to the commercially made in the market. 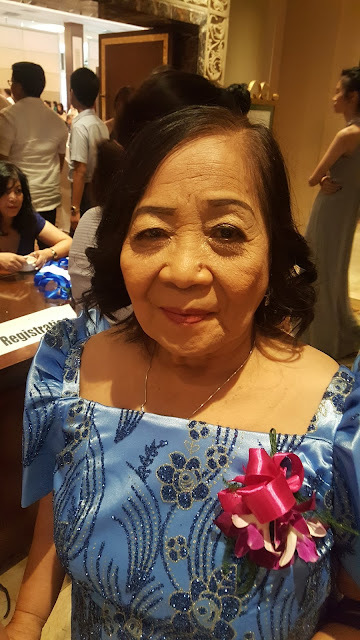 Being an Ilongga with a passion to promote local Filipino dishes, she discussed the different types of rice cake delicacies and the wonderful varieties each region defines of what we all love - "kakanin". By the time she finished cooking the Maja Blanca, I was already partaking on the dishes served in the buffet table. I really loved the Bicho Bicho Yema Balls and the Garlic Pechay. I also enjoyed Chef Jackie's Maja Blanca slice while Chef Sau started cooking the Tibok-Tibok and Suman and Mangga Sushi. Chef Sau was so hilarious cracking jokes and posing at the camera boasting how delicious his Tibok-Tibok was. 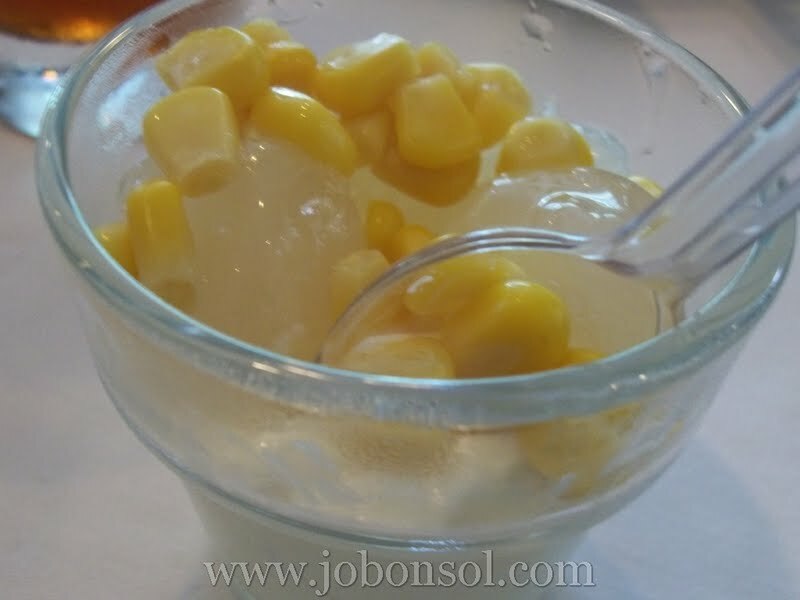 He used fresh cream and cornstarch to thicken and placed it in a dainty wine glass topping it with Macapuno balls and corn kernels. When he started making the Suman and Mango Sushi, I had a taste of his Tibok-Tibok which he boasted preparing for all the media participants. I laughed to my heart's content appreciating his understatements while cooking. 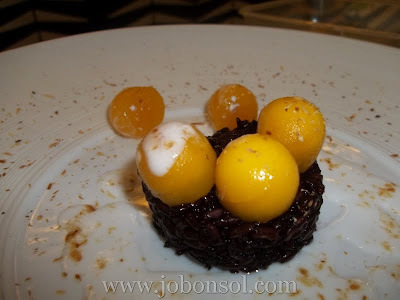 He used a particular brown mountain sticky rice and cooked it with a light amount of sugar putting fresh ripe mangoes in the middle before rolling them into a sushi. It was delightfully suman sushi presented with ripe mango balls on top. I really enjoyed the Independence Day celebration of Filipino dishes at Two Serendra yesterday appreciating more Filipino dishes. What makes Maja Blanca different from Tibok Tibok is really more of the name we call our traditional carabao milk pudding. Both uses Carabao milk but each is native of a particular region in the Philippines. 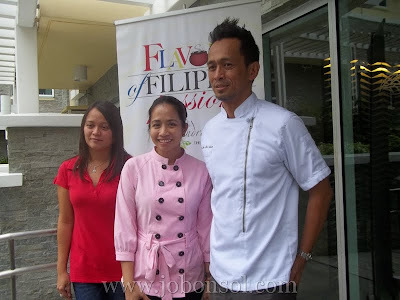 Chef Sau being a native of Pampanga will boast of its Kapampangan "kakanin" and Chef Jackie being a native of Iloilo will boast of Maja Blanca as another Iloilo or Bulacan "kakanin". It was a memorable dining experience reminiscent of what makes us free as a Filipino - diverse yet united with common goals to better our society and culture. At The Meranti at Two Serendra, residents will have all these conveniences to further enrich those passions of their lives. 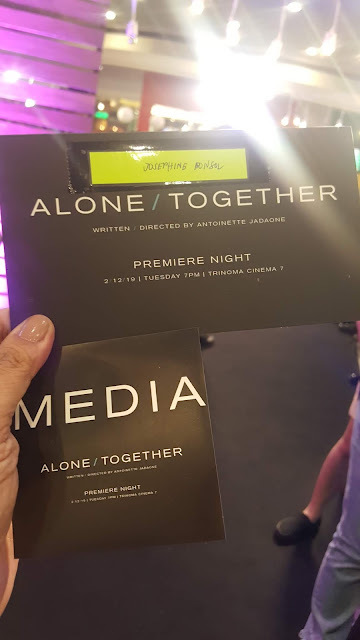 For more information, visit www.alveoland.com.ph, email info@alveosales.com.ph or call (632)848-5100(Metro Manila) and 1-800-10-848-5100 (Outside Metro Manila).